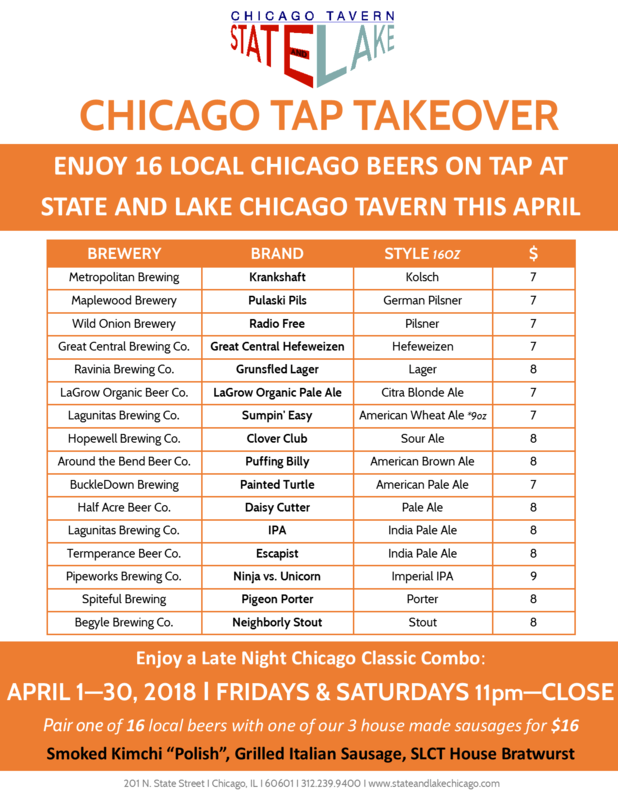 For the entire month of April, State and Lake Chicago Tavern will be bringing the Windy City’s local brews to the Loop with a Chicago Tap Takeover. All 16 taps at the restaurant will feature a beer from a local Chicago brewery. In addition to this, enjoy a Chicago Classic Combo for just $16, which includes any local draft paired with a local, in-house made sausage off State and Lake’s Late Night Menu. This combo offer will be only be available Fridays and Saturdays from 11pm to close.